Welcome the family for dinner celebrations or specialoccasions in this elegant dining room set. The drop leaf table opens for moreseating and comes with two comfy savannah chairs. The buffet is great forstoring accessories and displaying goodies. Also comes with dessert!For Ages:3 years & up. From the Manufacturer As new moms know, babies need a lot ofstuff. This set will get little moms ready for a new arrival, with all theessentials for feeding and entertaining. The stroller rolls, the bouncer seatturns and the blanket is oh so soft. 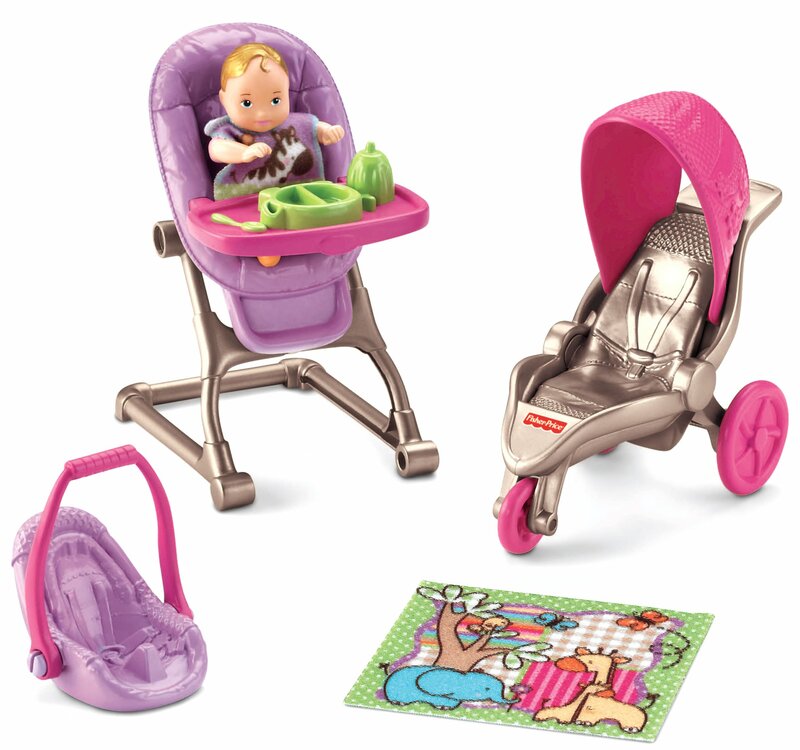 Includes: baby, soft baby blanket,bouncer, entertainer, diaper bag, high chair and stroller with working wheels.